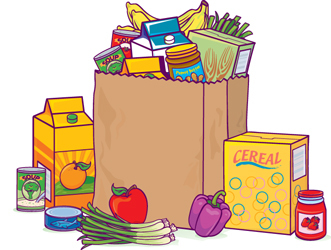 Get Assistance from the Westfield Food Pantry | Groceries, SNAP, etc. Am I Eligible to Receive Food? Date of births for all household members. General statistical information such race, language spoken, and family income. Please note: this information is confidential and only used for general statistically purposes.We will NEVER ask for social security numbers! Clients can come once a week for bread, dessert and seasonal produce, as available. The Westfield Food Pantry is open Mondays and Tuesdays 10:00 a.m. - 12 noon, Thursdays 5:30-6:30 p.m. and Fridays 10:00 a.m. - 12 noon. We are closed Wednesday, Saturday & Sunday. Need help getting clothing, free meals or other assistance? Check out these other local resources which may be able to help you.